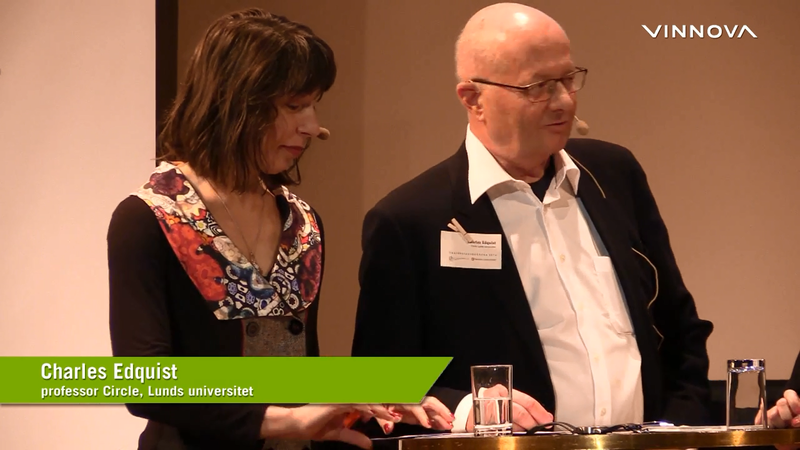 Swedish Entrepreneurship Forum celebrated its 20th anniversary at a conference called “Småföretagsdagarna” last March 12, 2014 at the Concert Hall in Stockholm. At that occasion, Charles Edquist participated in a panel discussion on “Innovation Power for a more Entrepreneurial Sweden”. Other participants were Annie Lööf (Minister of Industries), Charlotte Brogren (General Director, VINNOVA ), Fredrika Gullfot (Founder and Director at Simris Alg AB) and Gunilla Nordlöf (General Director, Swedish Agency for Economic and Regional Growth). Mia Odebas moderated the discussion. “Småföretagsdagarna” is one of the largest annual arenas for exchange of ideas in the fields of small firms, entrepreneurship and innovation, normally with about 300 participants.